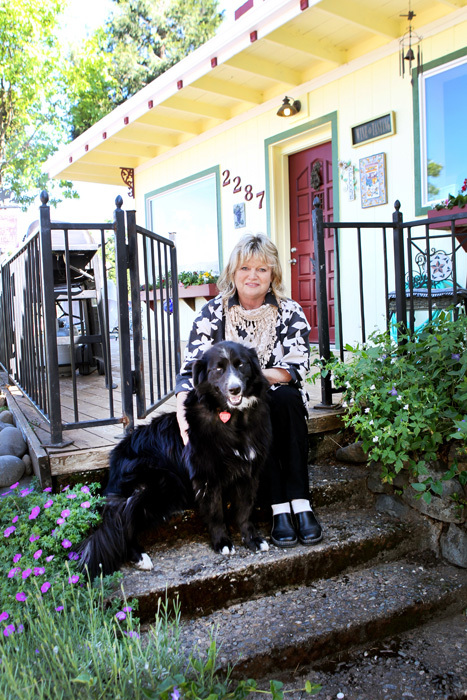 Owner, Vicki Nickerson, was born in Wisconsin and moved to Coos Bay as a child. Adventurous by nature, Vicki headed north to Fairbanks, Alaska in 1975 and later bought the Goldstream General Store. She expanded the store offerings to include fine wines from around the globe. Her wine selections were so well received that she established the Valley Vines Wine Club that had over three hundred members. Vicki versed herself in the study of viticulture and enology while traveling as a wine buyer to discover, first hand, the science of grape growing and making fine wines. On a trip to visit her son in the early 2000’s, Vicki discovered Southern Oregon and its superb climate for wine producing. It was during that trip that her lifelong dream of farming grapes and creating wine became a reality. In 2004 she purchased Aguila Vineyard in Talent, Oregon. Vicki left her Alaskan home for the last time in 2008 and moved to Talent with her dog, Sara, and her 30-year-old horse named Lacy. “Aguila”, meaning “Eagle,” is the perfect representation of Vicki’s sustainable practices and respect for the natural habitat. 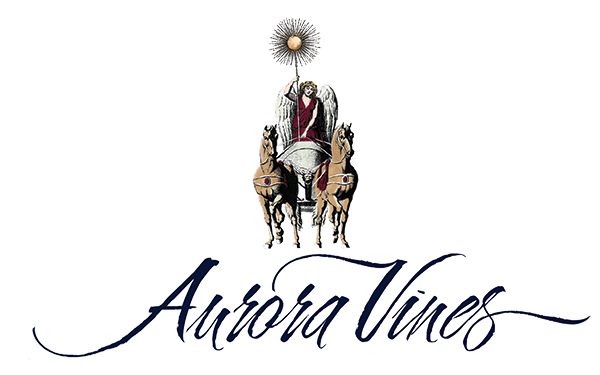 After the production of her first wines, Vicki decided to call the bottled wine “Aurora Vines,” which represents the “Goddess of Light”. The name reflects her love of mythology, horses, and the sunlight needed to grow grapes. After serving her wine in her home, and getting positive reviews, she bought the property adjacent to her vineyard to both grow additional grapes and to transform the unique, vintage home into a tasting room. Aurora Vines is proud to use the services of Naumes Custom Crush and winemaker Chris Graves. Aurora Vines takes into account the impact vinticulture has on the native ecosystem under our care. Our goal of sustainability and stewardship is reflected in every wine making decision. Decreasing the winery’s impact on the environment is a primary focus of the vineyard. Aurora Vines is certified by the LIVE program (low impact viticulture enology). From seeding ground cover to introducing beneficial predators, our viticulture team works year round to preserve the sustainability of our land. Aurora Vines understands that what is best for the earth is ultimately best for our wines. With sustainable practices at the heart of our business, Aurora Vines remains committed to our responsibility for the environment so that the enjoyment of our wines may continue for generations to come.